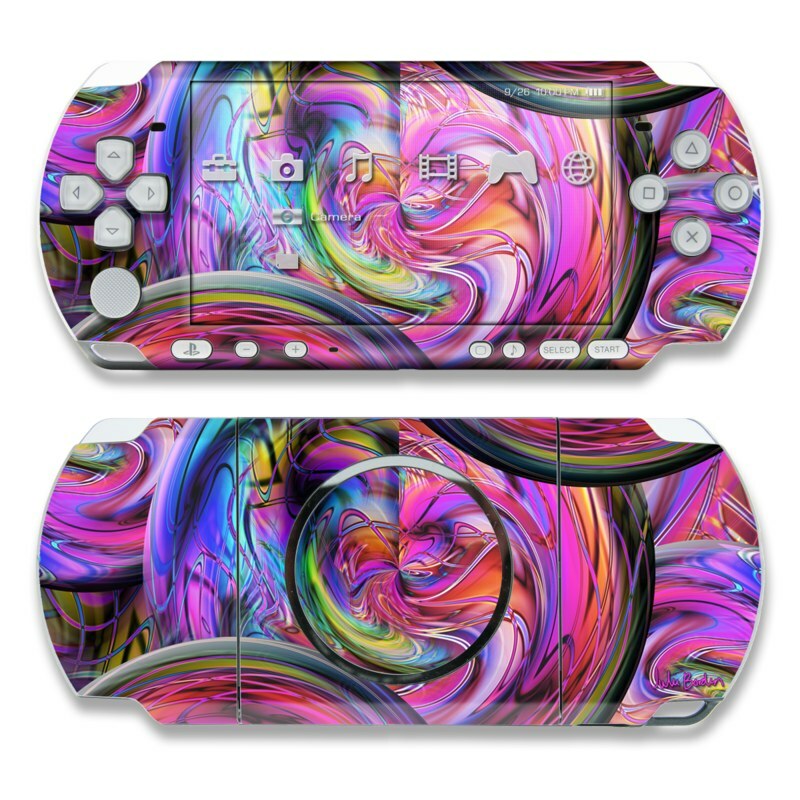 iStyles PSP 3rd Gen 3000 Skin design of Pattern, Psychedelic art, Purple, Art, Fractal art, Design, Graphic design, Colorfulness, Textile, Visual arts with purple, black, red, gray, blue, green colors. Model PSP3-MARBLES. Added Marbles PSP 3000 Skin to your shopping cart.